In September last year, A-Trak came to Australia with the Parklife tour. 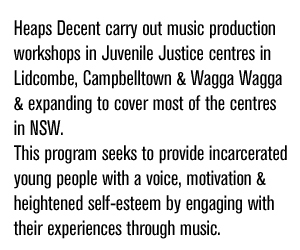 While he was here he joined Heaps Decent in Wagga Wagga, NSW where we took him to Riverina Juvenile Justice Centre for a day of music making with the young artists inside the centre. Nina and Levins had spent the week beforehand running workshops at the centre, writing lyrics and practising flow and mic control. 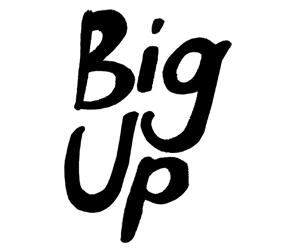 When A-Trak arrived at Shepherd’s Park, the school within Riverina Juvenile Justice Centre, everyone was ready to make something awesome. 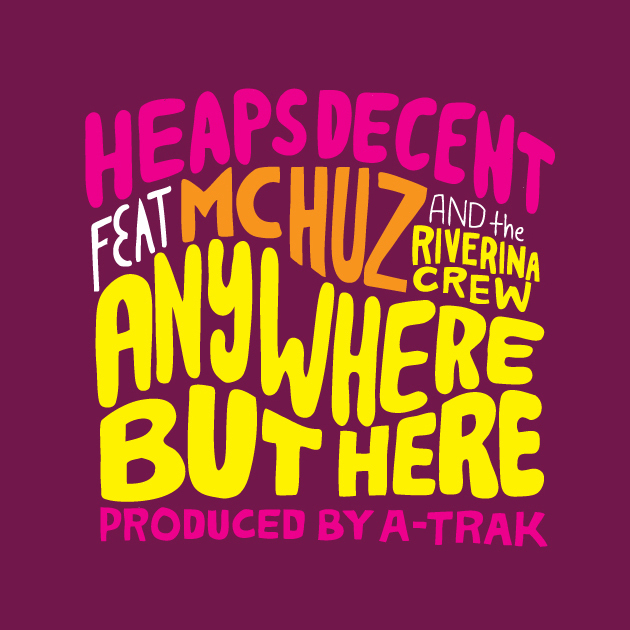 ‘Anywhere But Here’ is the product of our day spent recording with A-Trak. The four boys you can hear on the track wrote their own raps, as did MC Huz, a volunteer from Riverina Community College who joined us on the day. Some of the other boys played didgeridoo and made wild noises, which A-Trak sampled and used as the base for the beat. We’re very proud of this song, and super thankful of A-Trak for giving up his time to join us for the session and for making ‘Anywhere But Here’ as amazing as it is! You can read A-Trak’s fantastic recount of the recording experience on his blog post from last year. 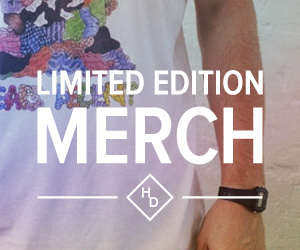 So here it is, after such a long wait, for you to download for free! 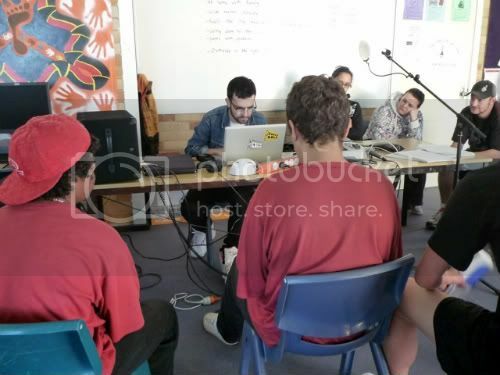 While we are offering this for free and encourage you to spread the word by sharing the song, we please ask that you consider making a donation to Heaps Decent so that we can continue running great workshops like this one. Click here to make a donation, it’s really easy and we really appreciate any amount you can afford! Thanks again to A-Trak, to the boys and staff from Riverina Juvenile Justice Centre, to MC Huz, Thom Paton and all at Riverina Community College and to everyone at Fuzzy. Thanks also to Georgia Perry for the artwork you see above! *As Heaps Decent is a charity with a Deductible Gift Recipient Status (DGR), any donation over $2 is tax deductible – please contact us for a receipt.